A perfect way to add a sharpness to an outfit. Wear it as part of your business professional ensemble or even throw it over a t-shirt and jeans. A good blazer is extremely versatile and you'll be able to get away with wearing it for consecutive days! Something comfortable that you can slip on in the morning. It’s a great option for an elegant outfit even if you’re running late. A dress that’s comfortable and appropriate is essential for your wardrobe. Neutral tones stand out less and can be accessorized in dramatically different ways, so we suggest you go for those so you can get more wear without people noticing. Odds are that you’ll likely spend most of your days in the office in pants, so invest in a stylish, but cozy pair. It’s worth it to do your research and buy from brands that specialize in workwear because they understand the need for comfort in the office. Work pants are also extremely versatile. 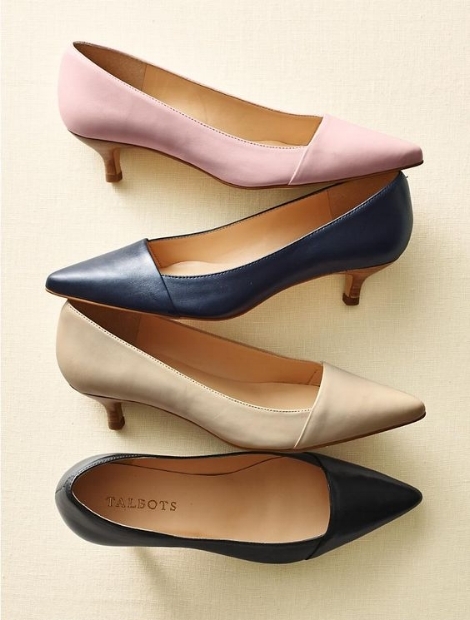 If you change up your top and wear pumps instead of the flats from Monday, wearing the same pair of pants in the same week will go completely unnoticed. Sold. Phone, wallet, keys, laptop, lunch... You won’t want to juggle carrying all those items to and from work in your hands. That’s why everyone needs a spacious work bag. Keep the work chaos tucked away in your bag as your strut your stuff during your commute. Running around the office all day keeps you on your toes, literally. A pair of heels that won’t give you blisters and foot cramps are another workwear staple that’s important to invest in. Treat your feet nicely and go for a comfortable pair over heels that hurt by the third hour. Check out more options on our Pinterest!